The cloud is changing at the speed of light. Chief Technology Officers working on datacenter build-out, say data growth, lack of space, and power and cooling issues are their biggest challenges. Conventional datacenter hardware cannot keep up with the growing density and large capacity requirements of datacenter operators who are looking for more efficient and simplified hardware design. QCT's pioneering ideas and engineering excellence help meet their needs. The Rackgo X is a 21" open rack solution inspired by the Open Compute Project (OCP, http://www.opencompute.org/, a project initiated by Facebook in 2011) standard. It is designed to deliver hyperscale datacenter performance for low CAPEX and OPEX with simplicity, energy and cooling efficiency, high density, serviceability, scalability, and manageability. The Rackgo X is ideally suited for cloud architecture such as cloud service providers or large enterprise datacenters. The Rackgo X is an open rack solution that integrates QCT's server, storage and top-of-rack switch. Meant to optimize capital efficiency, its simple and vanity-free design eliminates excessive features that do not contribute to overall performance. The Rackgo X features a wider open rack width of 21 inches. Compared to conventional 19-inch rack solutions, it provides higher compute density, greater storage capacity, and increased airflow, which improves cooling efficiency. The Rackgo X equips centralized power supplies (PSU) on the rack. All nodes share the centralized power supplies, providing lower capital cost and high energy efficiency. Designed for easy cold aisle operation, most service parts are tool-less and can be replaced in the front aisle. The Rackgo X boasts serviceability. Compared to conventional design where each node equips its own power supply unit (PSU), the Rackgo X's centralized PSU in the rack greatly reduces total PSUs. Its vanity-free design eliminates excessive components and reduces the total component number, resulting in lower capital cost, minimized maintenance efforts and a better mean time between failures (MTBF). The QCT Rackgo X allows datacenter operators to monitor the hardware status through a single point of contact with its best-in-class easy-to- use management tool. Like the LEGO concept, Rackgo X provides modular units to be built on each other. 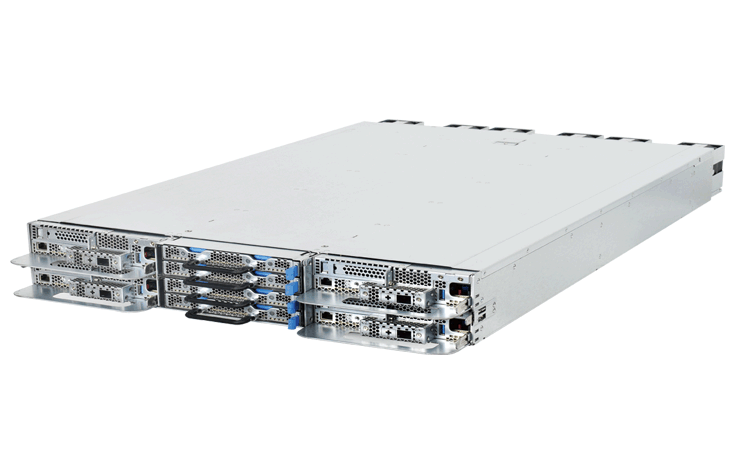 The QCT Rackgo X includes options of compute server, microserver, JBOD storage, and QuantaMesh network switches as the basic building blocks. Customers can choose componenets to fit the specific needs of their datacenter applications. To help customers get started with the Rackgo X open rack solutions quickly, QCT offers three rack architectures to suit different types of workloads. Datacenter customers can choose from the three rack configurations or build their own racks.